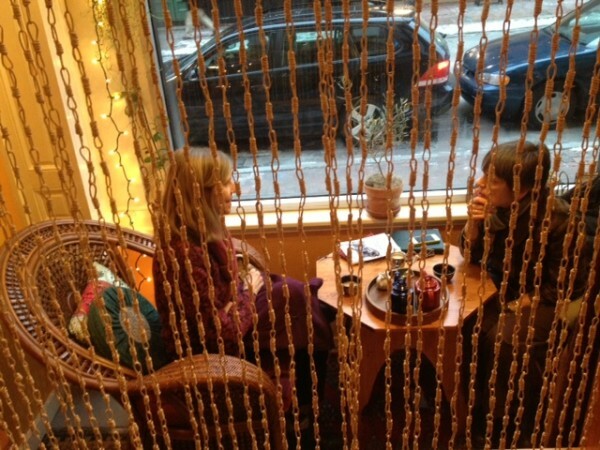 Guests linger in the inviting atmosphere at Dobra Tea on Exchange Street. 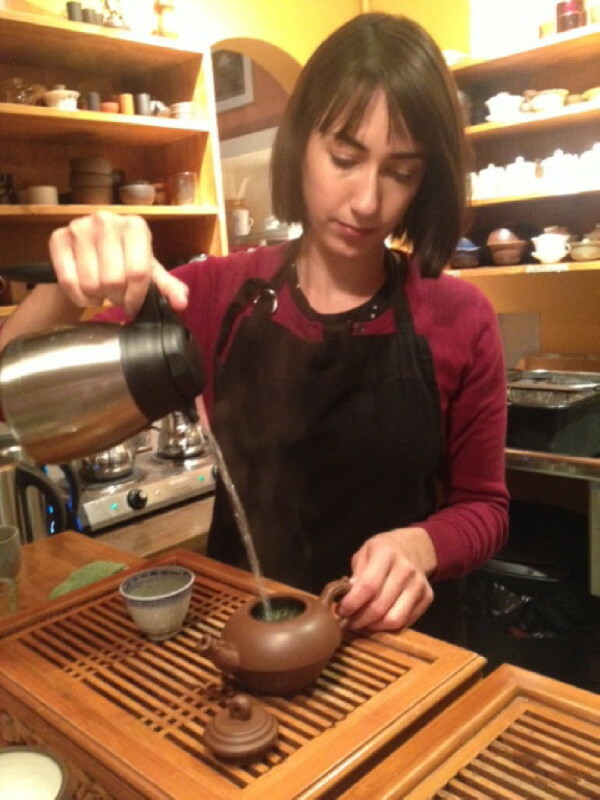 Kailyn Cimino pours a pot of loose leaf oolong at Dobra Tea in Portland. Will next year be all about the cricket cupcake? Or perhaps seaweed granola? The Specialty Food Association has released its list of top food trends for 2015, and it seems Maine’s food artisans and entrepreneurs are right in step with the New York City organization’s food forecast. There is a new cup in town. Tea gets the “high end treatment” next year, from “ingredient upgrades to elegant cafe settings,” according to the Specialty Food Association. Inside Dobra Tea on Portland’s Exchange Street that prediction is steeped in reality. In this months-old tearoom, friends sit at tables and lounge on elevated, private Moroccan platforms, comforted by colorful pillows. They linger over pots of loose leaf oolong, green, white and pu-er tea served by so-called “devoteas,” the baristas of the tea world. “Tea is more like wine than coffee,” said proprietor Ellen Kanner, whose knowledgeable staff assists customers with the right blend for the right moment. “This is the place to chill out for an hour as you are bustling around the city,” said Kanner, whose favorite quote, “Tea is drunk to forget the din of the world,” applies in this exotic setting. Superfood bowls — a one-bowl mix-up of healthy, hearty ingredients — are an easy way to get a lot of delicious nutrition in one fell swoop. Take high density nutritious foods like sweet potato, kale, chickpeas, brussels sprouts, avocado, quinoa, brown rice, nuts, beets, edamame or many others. Toss whatever you choose in a bowl with the dressing of your choice. Everywhere from Whole Foods in Portland to Bangor’s soon-to-open eatery, the Juice Cellar (they also have a location in Belfast), are offering them, but they’re easy to make at home, too. Also in Bangor, Umami — the noodle bar — offers mix-ins like kale, cabbage, snow peas, mushrooms and more into their brothy noodle bowls. At b.good in Portland, kale and quinoa bowls doctored with spicy avocado and lime, white bean and rosemary are a satisfying and healthy lunch on the go. 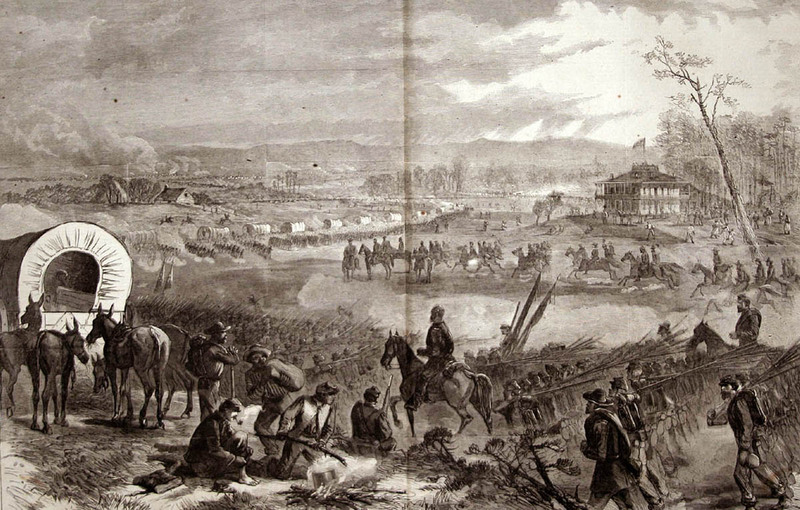 A “snack bar stampede” is anticipated to fuel a “whole new image for snack bars” with distinctive bites that could double as meals. At East End Cupcakes in the Old Port, the breakfast bar is quickly outpacing cupcakes in the wholesale department. Made with rolled oats, sunflower seeds, pepitas, sliced almonds, cranberries, cherries, raisins and peanut butter, these substantial bars, sold in cafes across the city, are a strong alternative to power bars. They are doing so well, owner Alysia Zoidis is working on two breakfast bar options more for the new year. “It’s definitely a trend we are pursuing.” She sweetens these hardy bars with honey and maple syrup, which also harkens to the sugar alternative trend that also made the list. “Alternative proteins” — everything from soy-based ingredients like tempeh and tofu to nut-based cheeses and milks — are a hot commodity right now. Belfast’s Gothic and Portland’s Green Elephant both specialize in dishes utilizing non animal-based proteins. The Gothic even has its own vegan test kitchen, plantlab, where chefs make everything from “cheese” made from cashews to almond milk custard. Seaweed is a major culinary trend for 2015, and Maine is uniquely positioned to capitalize on its newfound popularity. Maine Coast Sea Vegetables — which recently announced it would be expanding operations in 2015 — harvests sea vegetables from the cold waters of the Gulf of Maine. Products like Kelp Krunch snack bars, the shake-on Sea Seasonings, and sheets of Nori used for sushi are popular the world over. In Scarborough, VitaminSea Seaweed is selling dulce, kelp, sea salt and garlic spices along with seaweed-based pet products to help animals with joint and bone woes surf the wave.